I get a lot of request via email or phone calls asking if I have a recipe for this or for that. 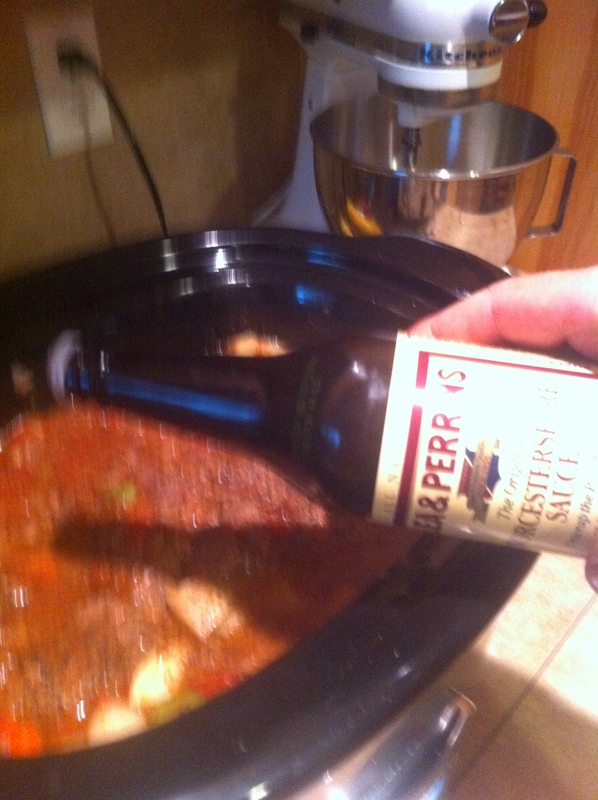 Eric contacted me for a recipe on Elk Stew and I said I would do it the next day. Stew can be the easiest dish on the planet to make, but great stew takes love, time and a few tricks.  So true to my word Eric, here you go buddy. 2 pounds of elk stew meat, well-trimmed. In a large bowl combine your flour and 1 tablespoon of both chili powders, and the paprika. 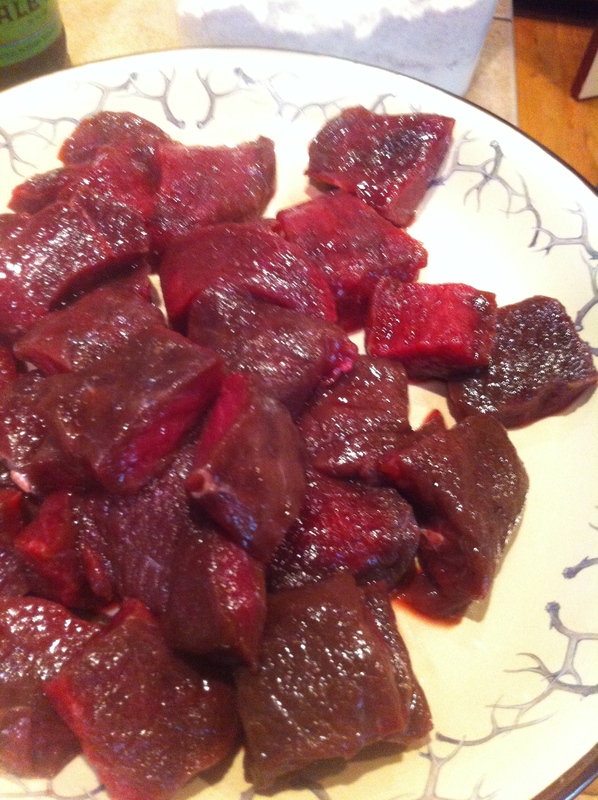 Mix well then add your cubed elk meat and make sure all pieces are well coated. In a stockpot, heat oil over medium-high heat. Add elk meat, work in batches, and brown both sides and put aside. Elk is bright red by nature, and lean. Make sure all the fat is trimmed. 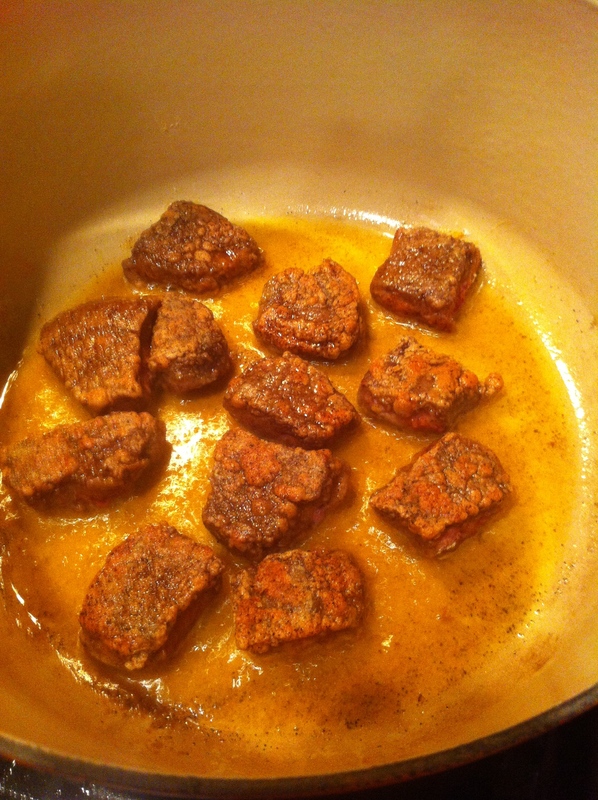 Do not over cook the elk pieces, just brown them to sear the juices into them. Sear them evenly and brown. Once the meat is completed remove it and add it to the slow cooker. 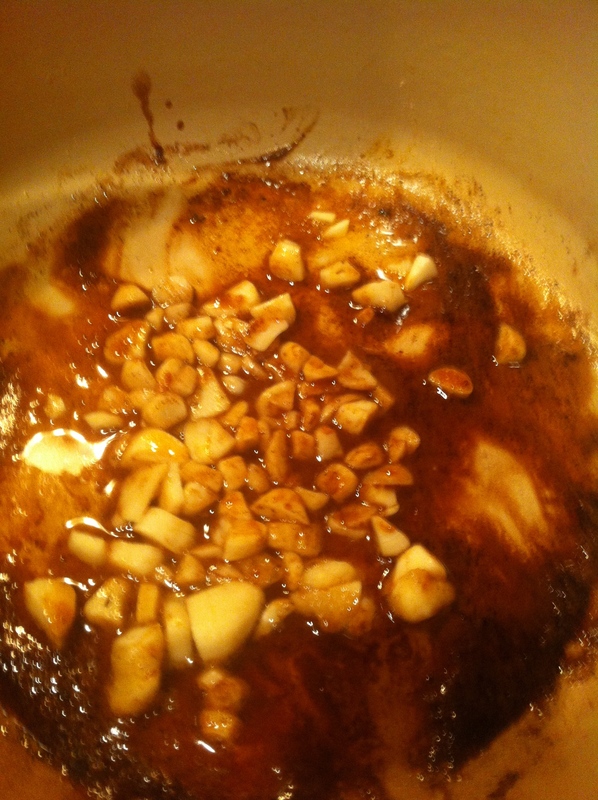 I add the chopped garlic to the same pan and toast them. Add garlic to the slow cooker, along with the chopped carrots. Wait, you are not done with the stock pot. 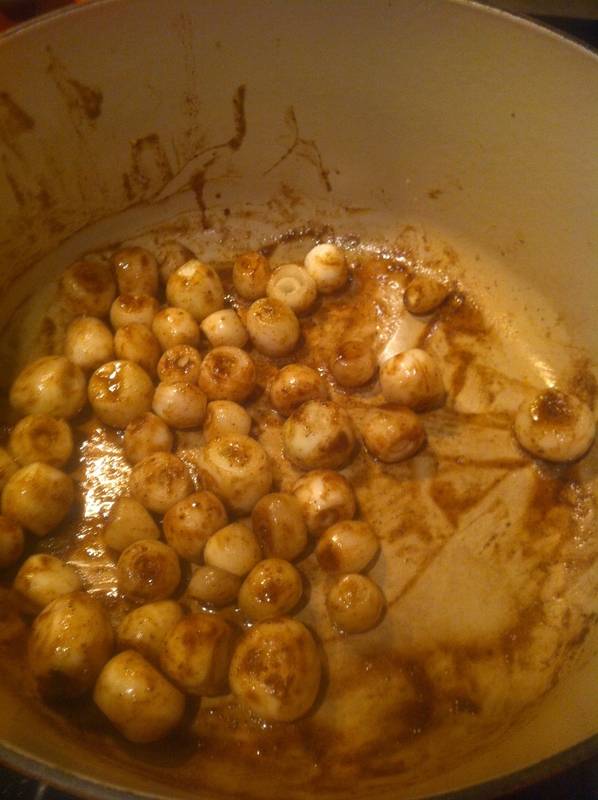 Toss the pearl onions in there and give about 3 minutes of cooking. You do not want to really cook them as much as you want to give them color and flavor! Just giving the onions some more added flavor! Add the onions to the slow cooker, and the stewed tomatoes, potatoes, red pepper, remaining chili powder and paprika and stir it around gently for a bit. Then add your water, and your beef broth. Then pour in your red wine. I use Malbec wine because I love the flavor. Always take a snort out of the straight out of the bottle because that is what all the cool chefs do. I take two, one for me and one for all my Argentina homeys in Patagonia. Lastly, you add the secret weapon. The Worcester’s sauce, I give a nice pour even though I said two tablespoons. I probably give it three because I like the flavor. Secret sauce. Picture is fuzzy to protect the innocent. Give the stew some nice stirring to get all the wonderful flavors going. Add your salt and pepper to taste. Turn on your crock pot on low for 8 hours. I usually do it at night so I can have it in a thermos on the boat. Caution: Make sure to shut your door because you are going to be smelling this deliciousness all night and dreaming about being in a stew river on Willy Wonka! Eric, the stew is ready my friend. Once it is finished, taste it. Does it need more salt, more pepper? More Chili powder, a little kick of cayenne pepper? 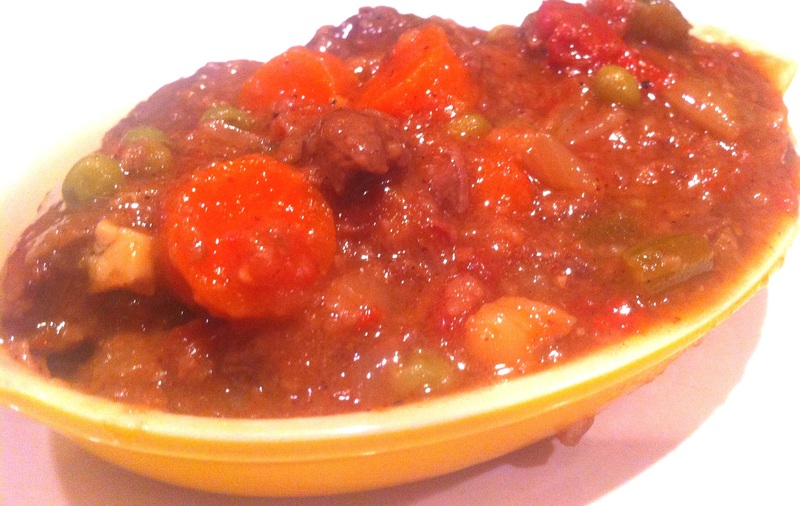 This is your signature stew dish so do not be afraid of hitting it with flavor. Depending on the season of vegetables, and the cut of the elk it will all turn out a little different. So enhance it, to your flavor. I always end up tuning it up a pinch. Then let it sit on warm for a while before serving. You can ask anyone I guide fishing for on the boat. Does Shay always have a real spoon in his pocket? The answer is yes. I always have a few plastic ones for my guest and a thermos full of something good on the boat on cold days. I hope you enjoy it Eric! 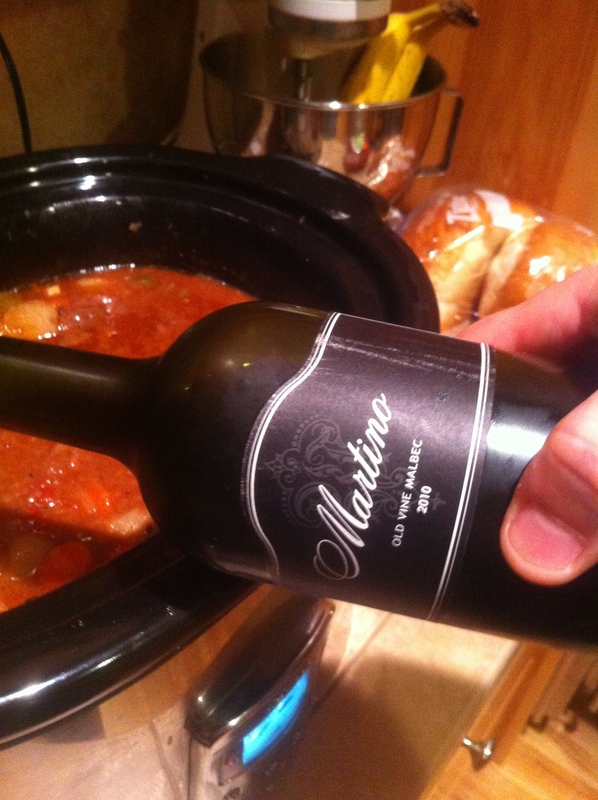 This is a favorite for the stew meat cuts with my husband and I.